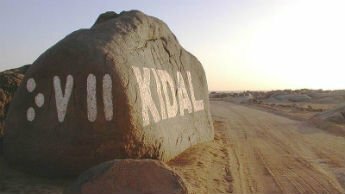 Two French journalists have been kidnapped in the northern Mali town of Kidal. The governor of the region, Colonel Adama Kamissoko, told Reuters news agency “they were abducted by four armed men”. He said the pair left the capital Bamako for Kidal on Tuesday. Radio France Internationale (RFI) confirmed on its website that two of its journalists had been kidnapped. They have been named in French media as Claude Verlon and Ghislaine Dupont. The French foreign ministry says it is checking the reports. The journalists had been interviewing Kidal resident Ambeiry Ag Rhissa, a local official of the MNLA ethnic Tuareg separatist group, Reuters reports. “When they left, I heard a strange noise outside. I immediately went out to see and when I opened my door, a turbaned man pointed a gun at me and told me go back inside,” he told Reuters by telephone. “I could not see how many men were there,” he said. France led an operation to oust Islamist rebels from northern Mali – its former colony – earlier this year, sending in thousands of troops. It handed over responsibility for security to a UN force in the summer, however French troops are still in the country helping to prevent a resurgence of militant activity in the region.